If the fortunes hidden in tax havens were fairly taxed, there would be plenty of resources for investment in welfare services, in international solidarity and in a sustainable transition that could save our climate. We all benefit from living in a civilized society with tax-funded common welfare and infrastructure. Therefore all should contribute and pay their fair share. Even the biggest companies and banks. 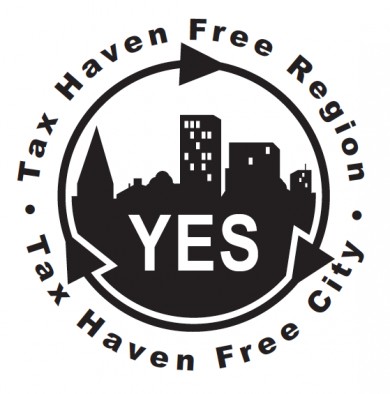 Local governments in all countries can cooperate and better utilize the possibilities available today to be “tax haven free”, i.e. to prevent tax money from going to companies, banks or other financial institutions that use tax havens for tax evasion.